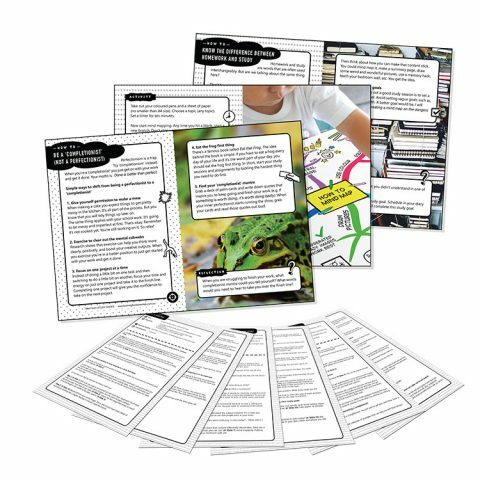 A series of short interactive lessons (10-30 minutes in length) for teachers to deliver to their students throughout the year to reinforce key ideas and strategies. Teachers are provided with 46 scripts that can be adapted or used verbatim. Handout sheets and slides also make it easy for teachers to implement. A series of short interactive lessons (10-20 minutes in length) for teachers to deliver to their students throughout the year to reinforce key ideas and strategies. Teachers are provided with 46 scripts that can be adapted or used verbatim. Handout sheets and slides also make it easy for teachers to implement. 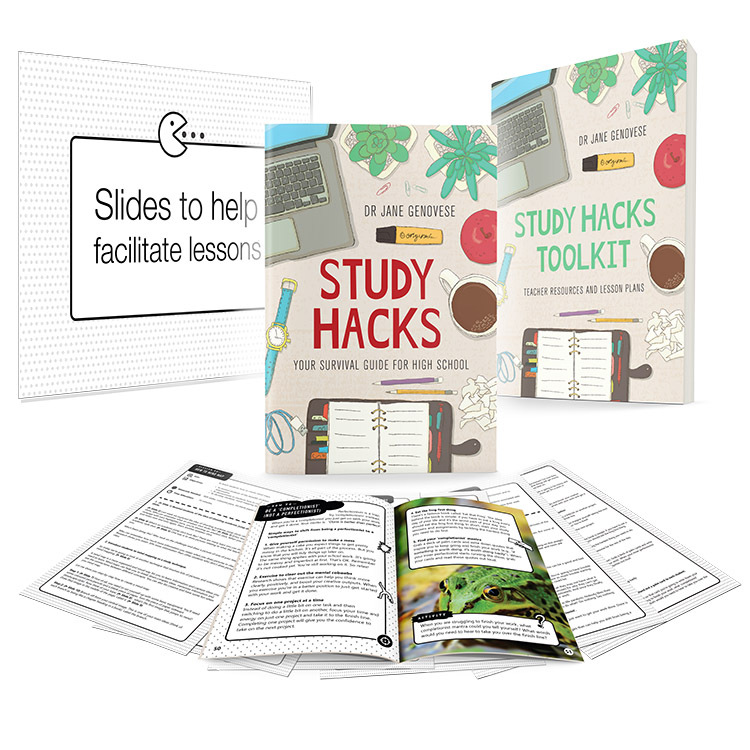 For more information on The Study Hacks Teachers’ Toolkit, click here.